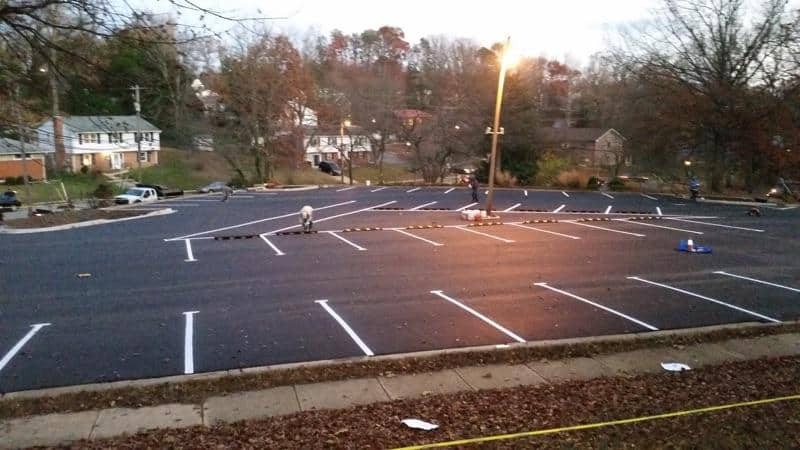 The first thing that a potential customer or passerby notices about a business is the health of the parking lot. The parking lot, or drive, of a business, is the initial first impression that people get, and you will want it to be advantageous to draw them in. 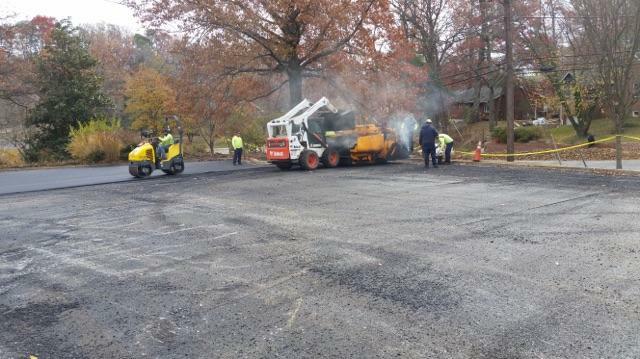 After the original paving installation is complete it is important to begin a regularly scheduled maintenance program to extend the life of your commercial investment. Capital Paving & Sealcoating provides cost-effective sealcoating services as well as crack filling to assist you in maintaining your pavement. UV Rays from the sun. Salt treatments during the winter months. Gas, oil, and other leaking chemicals from vehicles. The load bearing of cars and trucks. Deterioration of asphalt is inevitable due to nature and other factors. However, the lifespan of your pavement can be extended with proper care and maintenance through sealcoating and the filling of cracks. When you consider that asphalt is a careful mixture of stone, rock, and tar (binder) it becomes evident as to why the elements and daily traffic flow will affect the surface of your pavement. 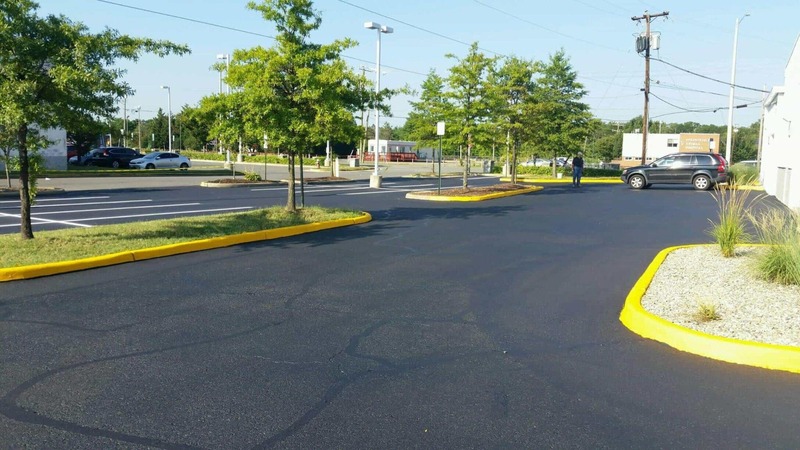 Sealcoating is essentially replacing the tar that deteriorates within your asphalt while at the same time providing a strong protective barrier. 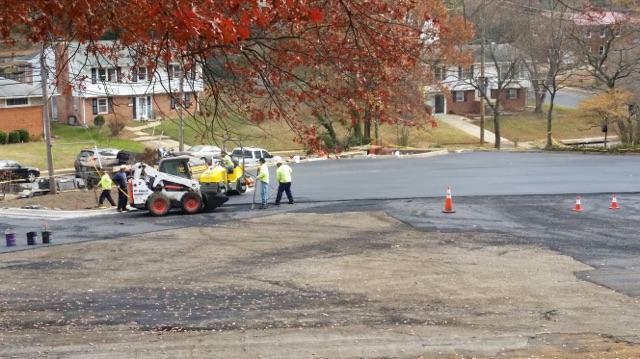 The barrier created will block moisture, gas and oils, and other chemicals such as salt treatments from getting down into the asphalt mixture. 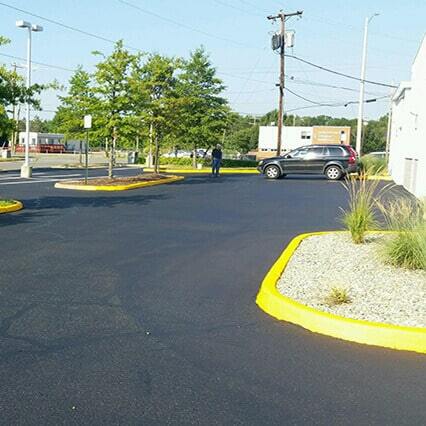 Sealcoating also provides a “facelift” to the appearance of your asphalt by restoring its original black luster. The beginning stages of wear are visible on the surface of asphalt and will indicate when you should consider sealcoating. It will show up first as oxidation along with cracks and loose stone. Oxidation is the damage from UV rays and your pavement will shift from a deep rich black to grey. UV rays also affect your line stripping and cause them to fade. On average we recommend sealcoating every two to three years to prevent major damage from growing cracks and to restore its beauty. As cracks grow larger, they allow more water and chemicals to penetrate and speed up the process of weakening the pavement. If cracking is left untreated it will then result in potholes which can create a lot of issues. Once your driveway or parking lot develops potholes, they can become a costly liability. For example, they can cause damage to customers vehicles’ tires and frames. Furthermore, if a patron were to gain personal injury from stepping in one it could result in unexpected out-of-pocket costs if you are found to be responsible. However, regular sealcoating and crack filling will help prevent this failing of your pavement and prolong its lifespan. 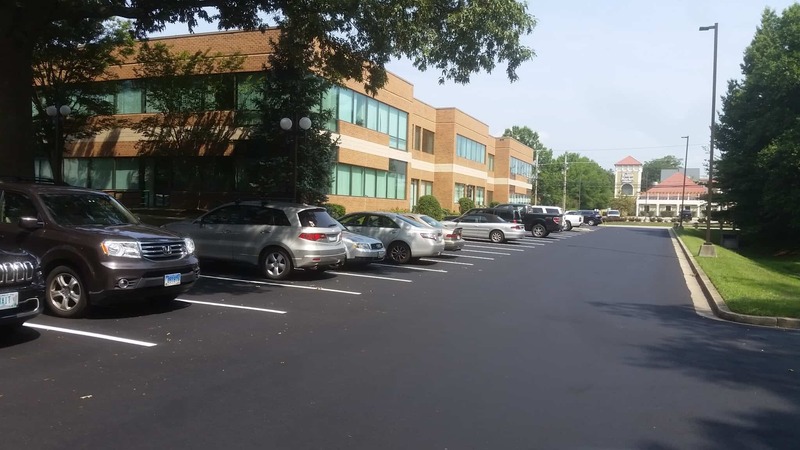 Capital Paving & Sealcoating believe that the drive and parking lot of your business should be aesthetically pleasing and give your customers the best first impression that you deserve. It is equally important for your customers to have a safe and easy access to your business. 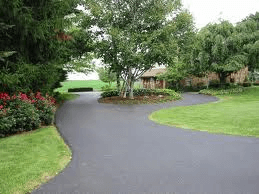 We understand these needs and provide a variety of services to help you maintain your paving investment. 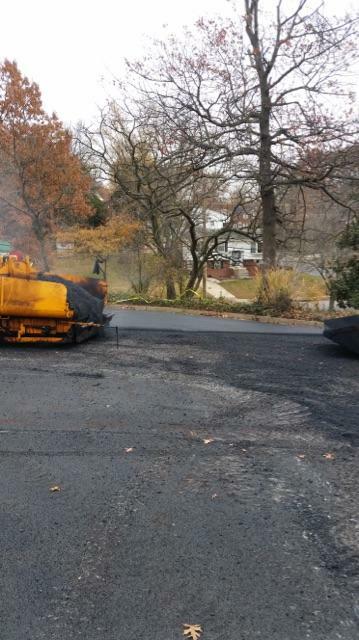 Our services include sealcoating, crack filling, pothole repair, line stripping and more. We are a family-owned business that started in 1956 and are experts in our industry. If you are new to the world of paving and sealcoating, we are here to help you every step of the way. We begin with a free one-on-one estimate and give you a detailed scope of work with our recommendations. Contact us today and let us help you solve your traffic flow issues and we will help you start planning your paving project!